Looking for a plastic free, zero waste and sustainable alternative to labeling the food in your kitchen? Look no further, I have you covered. 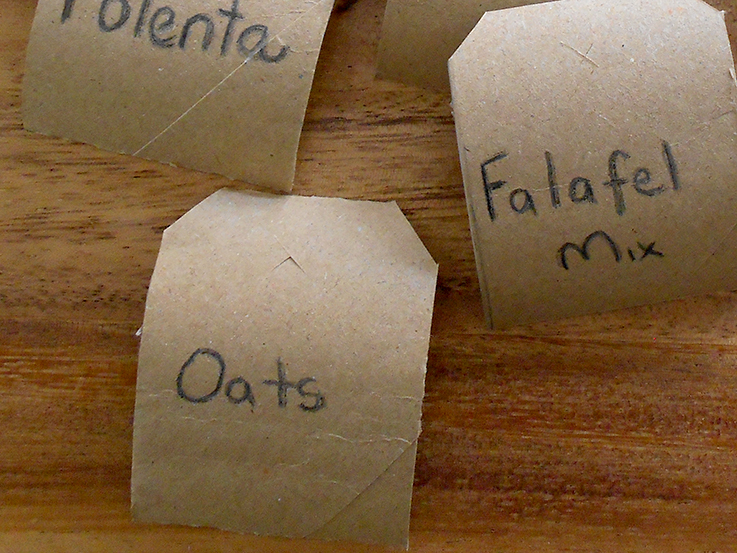 When I started on shedding plastic from my life I naturally tackled my food cupboards first. That was where most of the unnecessary plastic packaging hid. 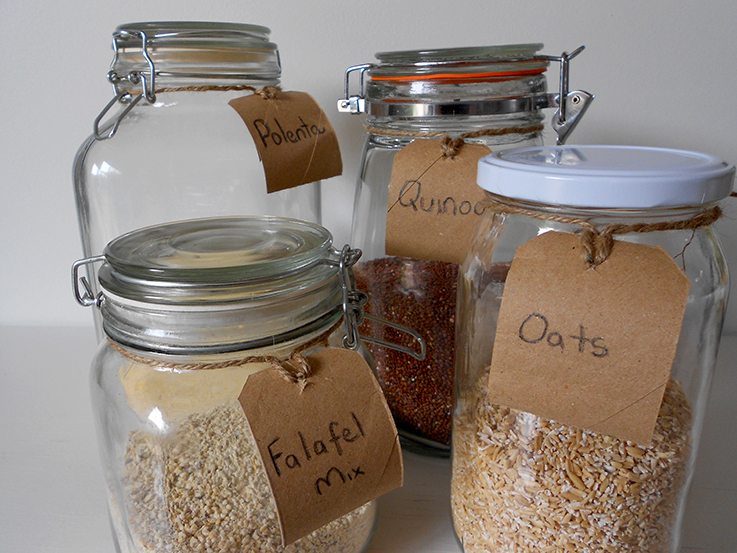 I began storing my food in glass containers when I made the switch from pre-packaged food to bulk bought food. I mainly collected jars from Opportunity stores and kept some old food jars too. Many of these jars came without labels. 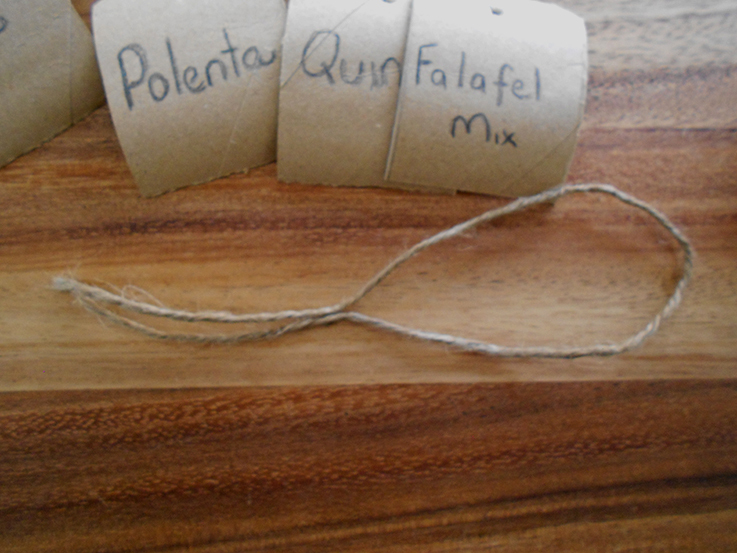 While I knew the name of most items there have been instances where I went to pick up the polenta and instead grabbed the falafel mix. Plus I am not sure the Builder knows what beans are what…but that’s a different kettle of fish. These jars needed labels, stat. I did not want to buy a marker for the purpose of labeling my glass jars. A marker would create so much unnecessary waste during its production and then sit in landfill for years after the ink had dried up. I thought about painting names on but I swap jars as they empty, and when I wash them the paint would no doubt come off. 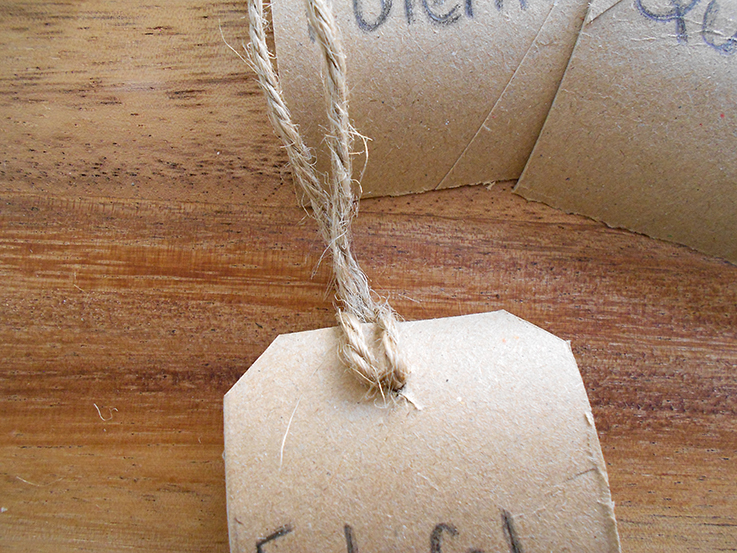 So I created my own sustainable, reusable and compostable labels while upcycling old toilet rolls in the process. These can be taken off before washing and moved around different jars to your hearts content. 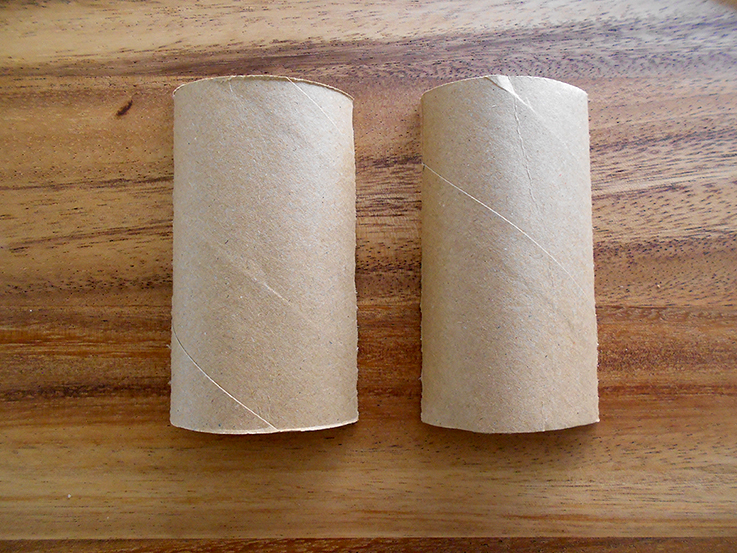 Flatten your toilet rolls and cut down the fold, then cut in half again, giving you four pieces. Pick a side to write your label on, then flip over. Take two of your pencils and using one of the pencils top flat side trace a circle around the pencil onto the top edge of your label. 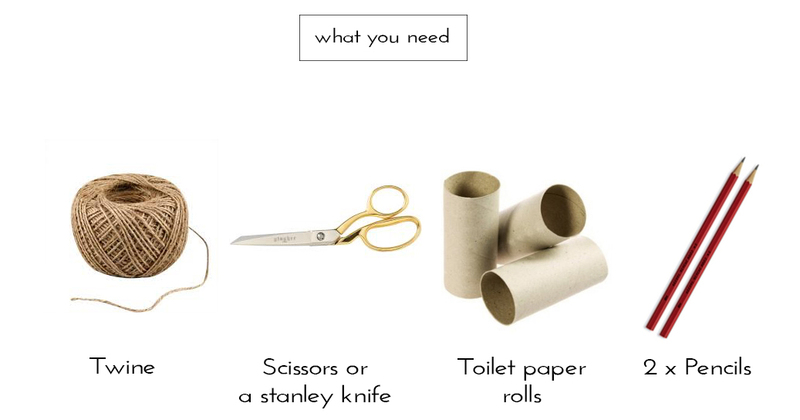 You could use a pen or crayon or even a stainless steel or glass straw…because you live plastic free and have a these right? 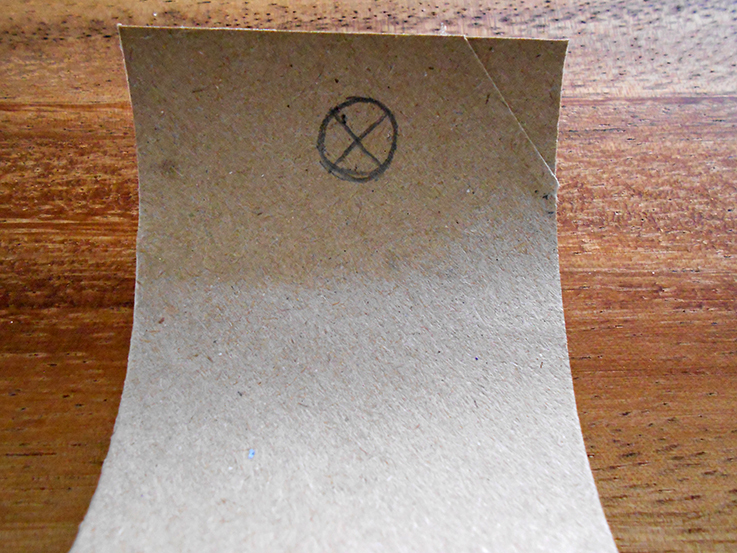 After doing this, draw an X inside the circle. Take your scissors or stanley knife and cut the lines of the cross. This is where you will pull your twine through that will attach your label to your jar. 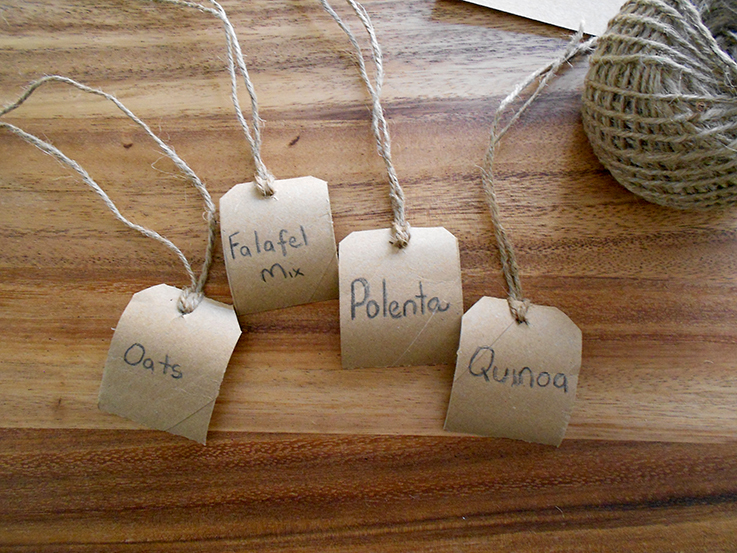 Flip your label over and write the name of your food onto the label. I just used a black pencil. You can use whatever you wish. Cut your twine. I cut mine at 40cm. 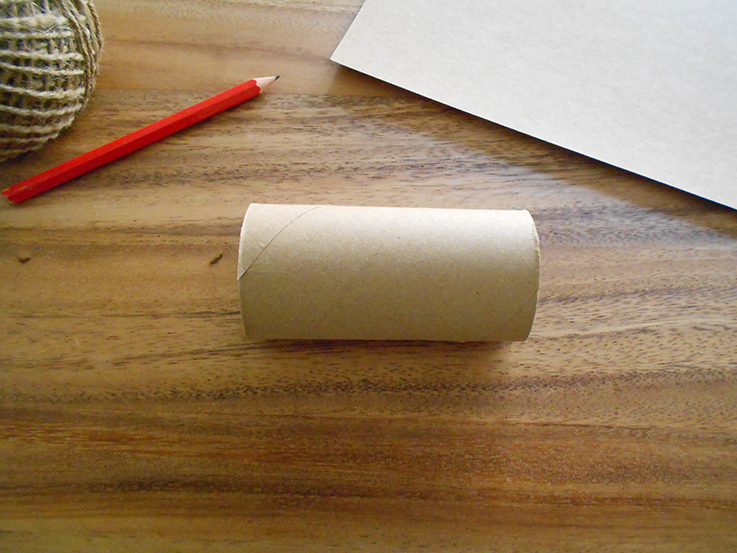 Then fold in half and pinch at the place it is folded over. 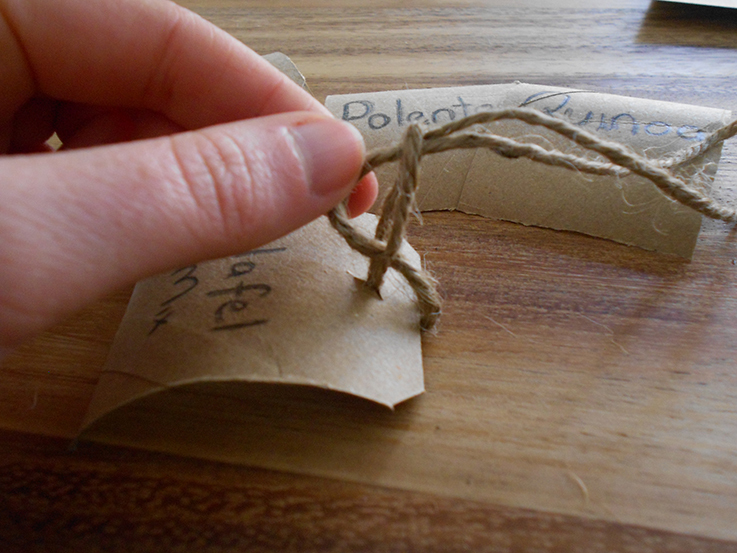 Now push 5cm of the looped twine through the hole. Take the other two ends through the loop and pull. Marvel at what you have made. 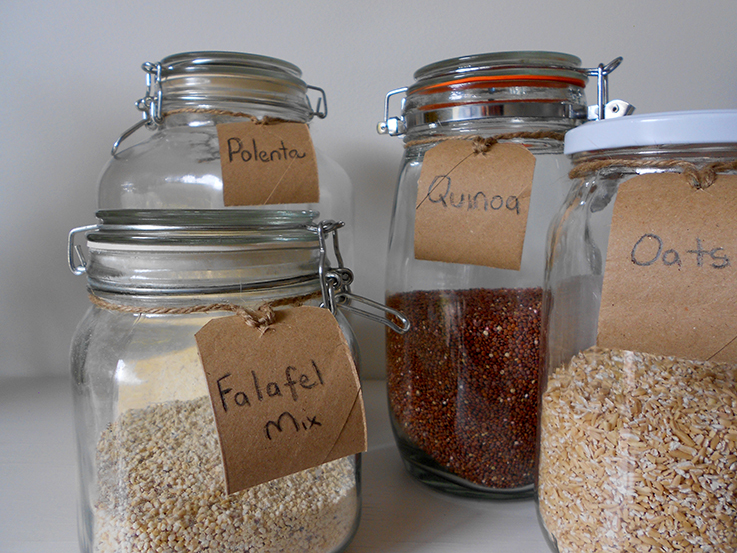 Tie your new label around your jar, put back into cupboard and never be confused again. TIP: If you are using old jars that have old labels on them here is a trick to remove them easily. Soak in hot soapy water. Try and remove the label by peeling at the edges. If you have some left over residue from the labels use an oil like lavender, eucalyptus or tea tree oil on a cloth and rub over the residue to remove it. The Builder thinks our pantry looks professional..whatever that means. What do you think? Are you a fan of the labels? I wrote in my last post that my hiatus was busy but sadly not as productive as I had planned. A dose of illness was mixed in leaving me with plans that went astray. It is nice to be back on the blog, writing about my eco journey. I was afforded some time to do a spring clean. I slowly piled up items that we don't use and have two or three of (like three cheese graters?!) and took them to our local Op shop. There were two items that I kept picking up and putting down again. I would stand and stare at them, knowing too tell they had to go but I couldn't figure out why I could not shake them off. What was even more baffling is that both items were broken. Unable to be used. They sat on a shelf above my desk. One of the items had been broken for two and a half years. 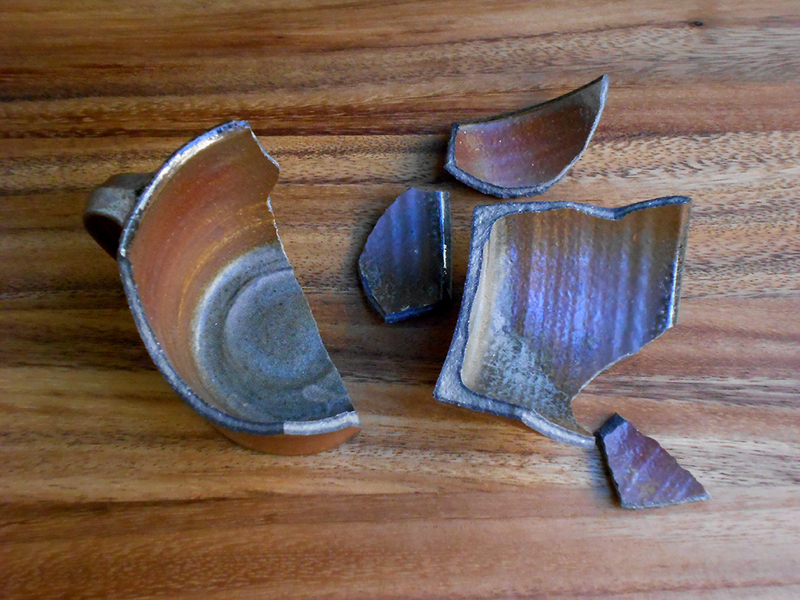 The first item that sat in pieces was a mug that I had bought when I moved to England. I had just arrived in London, my life packed up in a suitcase. I was staying at a friends place, sleeping on their kitchen floor (they were in a small studio room in Stockwell). After two weeks of applying for jobs and rooms to rent I decided to go and explore the country I had moved to. The jobs and room could wait. It was a bitter and cold winter morning in January when I jumped on a train to Salisbury. I had only intended to go for the weekend but this turned into an adventure that took me down to St. Ives on the Cornwall Coast. I visited a variety of small towns along the way, marvelled at Tintagle, watched the surfers in Torquay, ate fish and chips in Penzance and then settled into St. Ives for a week renting a room above a pub. I was on my own, free to wander and do as a pleased. It was bliss. St. Ives has a rich art history and it was here that I discovered the Bernard Leach pottery house. I visited often during the week talking with the local potters and learning more about the area. So before I returned to London, I decided to take Bernard Leach mug as a momentum of the wonderful two weeks I had. I have had this mug with me since. It was my special mug. Never went into a dishwasher. Usually sat on my bedside table. It was not special because it was a Bernard Leach design. It was special because I attached sentimental feelings to it. So when I dropped it one night in the bathroom as I went to fill it up with water, I was close to tears. It was a bit silly in retrospect. I have many wonderful memories of that trip that could be conjured up, and continue to be, without the need of a mug. The other broken item that I could not bring myself to part with was also a souvenir. They were two decorative wall hanging plates, part of a 12 piece set. 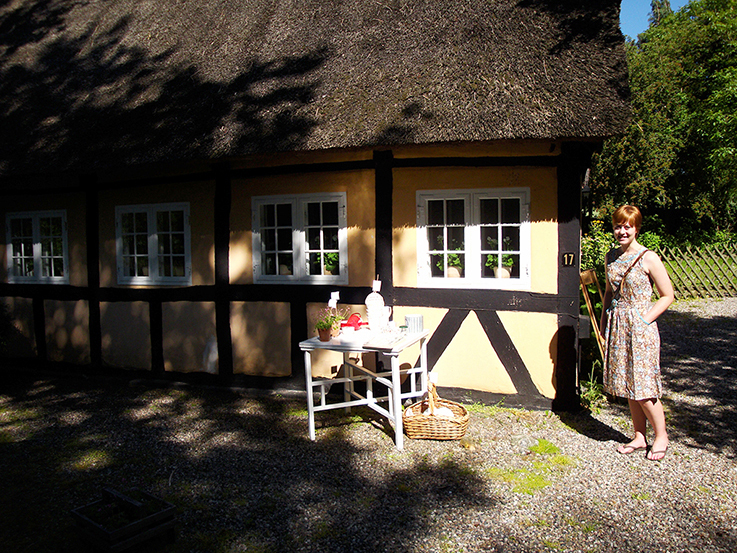 According to my Danish friends they are the kind of thing you would see at your grandmothers house...a bit daggy and not very trendy. But I liked them. They told the story of a woman and a man falling in love, each plate showing a month of the year. I bought them at a garage sale while enjoying a Saturday drive around Southern Denmark near Ondense. Anyway two broke on the move back to Australia (I did not pack them very well..). During the whole two years I was in London, these hanging plates never hung on a wall and when I got back to Australia three years ago, they sat in a box until early this year. 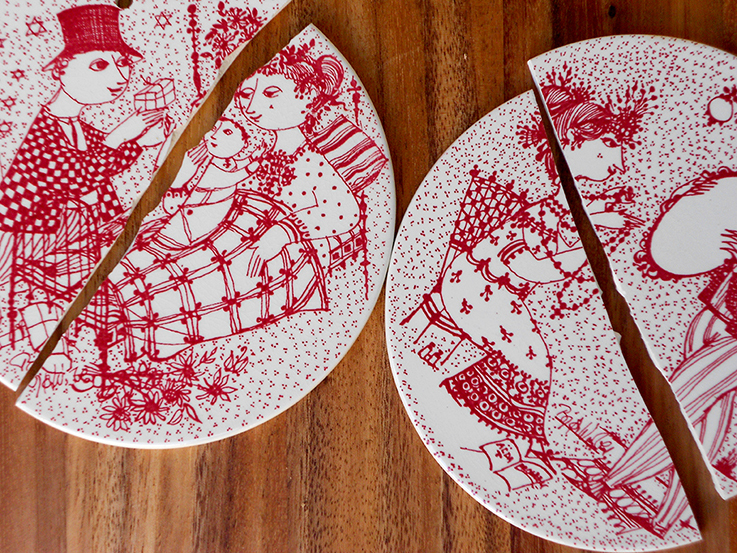 I wanted to get the two broken plates fixed but new it would not be a easy fix with some small parts missing. If they hung on a wall my eyes would focus on the imperfection. And part of me did not want to throw them out because then I would not have a complete set. Only I would know that. I doubt the Builder or any of my friends would know March and December were missing unless they were experts in Danish decorative art from the 1960s. The photo above is of me at the garage sale. I had just cut all my hair off and looking very Fraulein Maria. I do not need the plates or even the photo. The memory is fully intact. I was able to move pass the sentimental attachment and instead have decided to break up the pieces and use them as drainage in pot plants. Unfortunately I have not been able to locate somewhere to recycle pottery so this was the best solution. Either way hanging onto them as they were was not productive and now they are being productive. This somewhat idiotic process taught me that I need to not attach sentimental feelings to items. The world will keep turning without the mug – I have a cupboard full of mugs that work just as well. The plates will look nice on our wall if two are missing. I have written before about the need to value our stuff. But sometimes our things break by accident. If they are worth fixing I will fix them. But holding onto them, hoping that they might be fixed when they cannot, does not serve me. If they have been sitting there untouched for over two years then it is a sign to pass it on and give it another life. Perhaps being able to let go is the key to a simple life and wanting less stuff. Congratulations you made it this far. I promise the next blog post won't be as wordy. Tell me, do you find it easy to let go? Are you a big souvenir collector?